The synergies created allow us to offer the broadest line of packaging products and related services, from concept to completion, of anyone in the industry. Sinclair & Rush, Inc., through its VisiPak division, has successfully completed the acquisition of the assets of Tulox Plastics Corporation of Marion, Indiana, a manufacturer of clear plastic packaging containers. The move by VisiPak, a leading manufacturer of clear packaging products, expands the current line of plastic tube containers to include additional shapes, sizes and closure styles. Production from the Indiana facility will be relocated to the VisiPak manufacturing locations in St. Louis, MO, and Carlstadt, NJ, to more closely service the needs of customers. An additional benefit of the acquisition is that Tulox Plastics’ customer base will now have access to VisiPak’s complete line of packaging solutions including its own line of plastic container packaging, clear folding cartons, and flexible vinyl caps for use with its plastic containers. In addition, VisiPak manufactures plastic clamshell packaging, blister packs, and packaging trays using the thermoforming process. 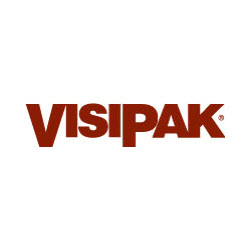 VisiPak will continue to offer decorating, design services, contract packaging, assembly and fulfillment services at its U.S. manufacturing locations. Both the St. Louis and Carlstadt locations will continue to operate manufacturing facilities that utilize extrusion, thermoforming and injection molding processes. For more information about VisiPak and its clear plastic packaging offerings, please visit http://www.visipak.com.